!!! Go to the SmaTrig 2.1 page !!! 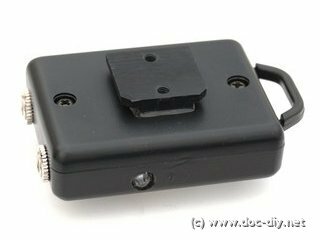 On this site you will find complete instructions how to build a versatile 15-in-1 camera trigger, the SmaTrig 2. Everything needed to build the device is provided including the PCB design, firmware, drill plans, etc. The SmaTrig 2 is the second improved version of the multi-purpose 15-in-1 smart camera and flash trigger, SmaTrig (1). 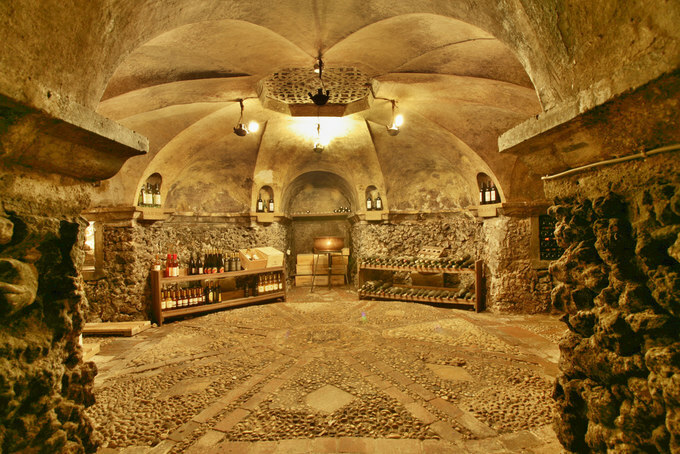 Compared to the old version, it boasts some completely new features. The existent one has been optimised for better usability. The enclosure hasn't changed, so the trigger is still very compact -- being the size of a match box. 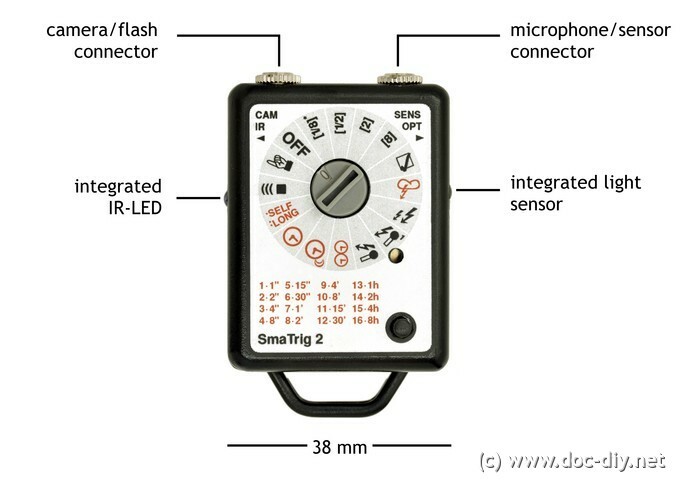 The SmaTrig 2 is based on an AVR microcontroller, and is equipped with sensor circuitry for detecting sound and light pulses for capturing lightnings or high-speed photography. The 15 functions can be divided into four groups: bulb mode bracketing programs for HDR photography, interval and timer modes, sensor modes and other functions like manual camera triggering or configuration. Many of the modes have some hidden advanced options, but I paid great attention not to obscure their usability. Ritual instruction manual spurners can use the SmaTrig 2 just using their intuition. 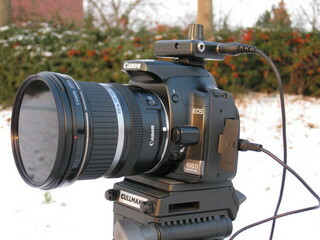 The SmaTrig 2 controls the camera using the remote release cable. There is no need to modify the camera in any way. The various sound or light trigger functions use either the integrated photo diode for light detection, or an external microphone that can be plugged into the sensor connector. 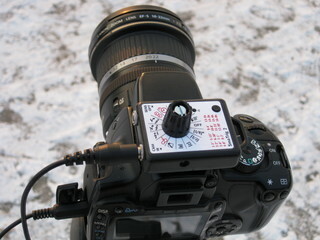 Flash units can also be connected to the trigger directly to allow high-speed photography. inverse interval function for "long exposure by parts"
Compared to the old version the new SmaTrig consists of less exotic parts and has less "loose" wired parts making the assembly easier. This was achieved at the cost of a more dense, but still DIY-manufacturable PCB. The pictures below show the SmaTrig 2 (prototype version with old label and big knob) attached to the camera during IR photography experiments. To overcome the +-2 EV bracketing limit and the 30 s maximum exposure time found in many cameras, the bulb mode can be used to shoot user-controlled bracketing series in a certain range of exposure times. 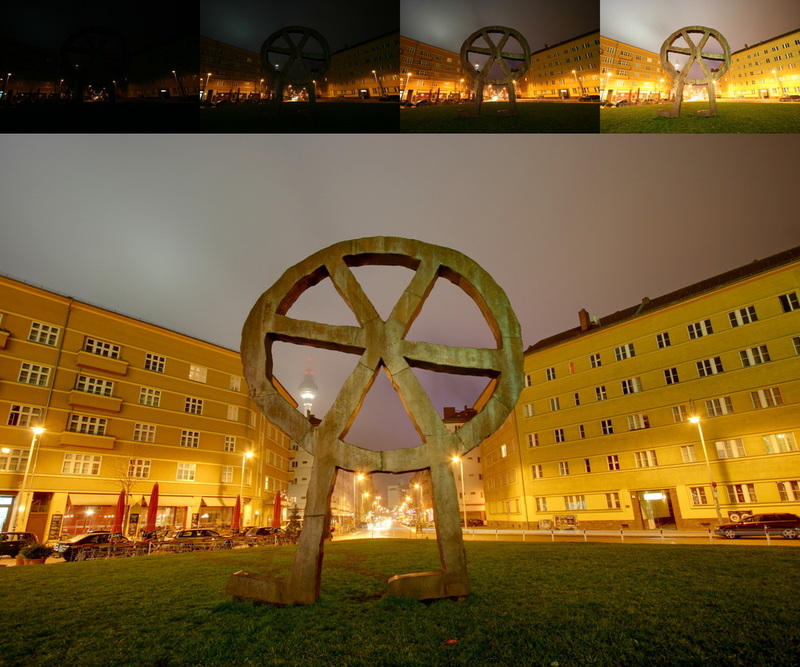 The image series can be used to generate HDR (High Dynamic Range) images. The technique is also called DRI for Dynamic Range Increase. Read the description of the HDR-Jack 2 for more details on the idea. The nominal exposure time of this function ranges between the purely theoretical 1/1000s and 8 minutes, letting you catch the last photon in the scene. 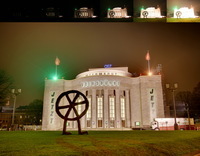 The shortest effective exposure time in bulb mode depends on the camera used. Older pre-live-view Canons are the best performers going down to approx. 1/180 s. Newer Canons, Nikons and cameras from other manufacturers range between 1/8 s and 1/4 s. Shooting bracketing series on sunny days with these cameras won't work. Refere to this table for more details. In each mode, 3 to 9 images can be shot around the center time, depending on how many times the button has been pressed. By default, one press corresponds to 5 shots, two presses to 7 shots, 3 presses to 9 shots and four presses to 3 shots. The number of presses lets the user cycle through the bracketing widths of 3, 5, 7 and 9 shots. The starting point (one push) can be set in the configuration for better usability. Mode 1 (the user mode) can be changed independently from mode 2, 3 and 4. The EV step can be selected in the configuration between 1, 2, 3 or 4 EV. Again, mode 1 can be changed independently from mode 2, 3 and 4. In mode 1, also the center exposure time can also be selected by the user allowing to define a quick-access custom bracketing series. Of course, the camera settings have to be consistent with the chosen option. The SmaTrig 2 can't change any camera options automatically! For exposures longer than 4 s, the exposure gap is increased automatically by approx. 3 s to allow a quick look on the histogram and abort the bracketing in case of overexposure. Thanks Daniel (Berlin) for this good idea. The bracketing can be configured to go from short to long (default) or long to short (e.g. nice for sunrise). There is also the ability to start the bracketed exposure using a cable remote release. The release must connect the ring contact of the sensor port to ground to start the bracketing sequence. This option was meant to use the SmaTrig 2 with automated panorama systems like the Merlin/Orion/Papywizard. Please note that Canon cameras round exposure times < 1 s to 1 s in the EXIF data when used on bulb mode. The actual exposure times might be shorter. In this function, the user steps through a short menu where multiple settings can be made to customise the SmaTrig 2. The possible settings and its default values are listed in the documentation available in the download section below. The table lists which function is affected by which option. 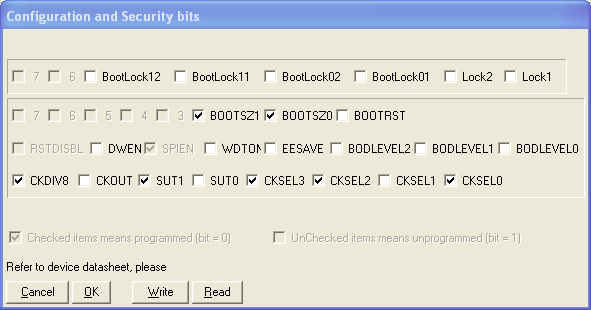 All settings are saved in the EEPROM of the AVR permanently. They can be changed any time. The usage of the configuration function is explained below. The camera brand is to be changed from Canon (default) to Nikon to allow the usage of the IR remote function with a D5000 for example. Procedure: Set the dial wheel to Configuration (function 5). First we're going to check the current settings. Push the button 11 times to go into the camera brand menu. The trigger beeps the code for the camera brand menu: long, short, short, short (B in Morse alphabet). This allows you to verify you are in the right menu. Then it steps automatically through all possible options beeping twice for the option currently set and only once for all others. If your Smatrig 2 has the default settings you will hear a double beep followed by 7 single beeps, because Canon is set as default and is the first option in the list. The list consists of 8 brands. After going through all options the trigger restarts. Nothing has been changed until now. Now, a look into the configuration table tells you that Nikon is the second option in the list. To choose it, you have to push the button after the second beep. We go through the menu again. Push again 11 times, wait for the menu code and then for the second beep. Push the button after the second beep within 1 second. You will hear a special sound. Now Nikon is set as the camera brand in use. Go through the menu again to verify the change. All other menus work this way. If you want to interrupt the configuration, simply turn the rotary switch forth and back. The EEPROM will not be corrupted. Contrary to the popular opinion, it is possible to photograph lightnings by light-triggering the camera directly. If the shutter lag (the delay between lightning detection and exposure start) isn't too long, the results can be fairly good. The lower the shutter lag, the better the results. This trigger mode is similar to the sound and flash trigger mode, but it minimises the shutter lag of the camera. It reduces the lag by keeping the mirror up in a smart way while waiting on the lightning. In case of a detection, the mirror does not need to be lifted before the shutter opens. In the case of the Canon EOS 400D, the pre-release of the mirror reduces the shutter lag by half -- from about 120 ms to 60 ms (see measurements) Users of non-Canon camras should use Mode 7. The operation is explained in more detail in the following description. The function is tailored to Canon cameras where the mirror is raised with an extra release pulse and released automatically after 30 s if the shutter-button wasn't pressed for the second time. 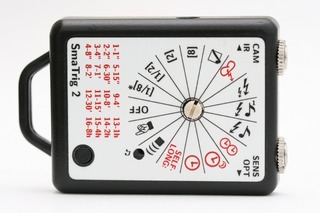 The camera is set to mirror lock-up mode by the user and the SmaTrig 2 is in lightning mode. 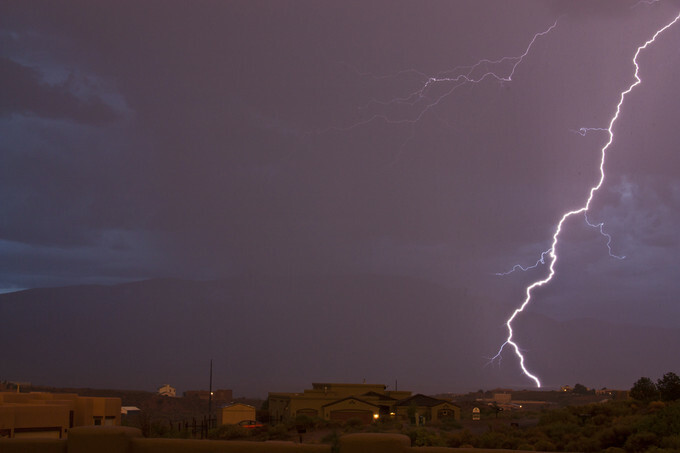 If no lightning was detected within 30 seconds the mirror is released automatically by the camera. One second later the camera is triggered by the SmaTrig 2 again and waits for a lightning as in point 2. Pushing the button again will deactivate the function. Effectively the camera is waiting for a lightning with a locked-up mirror. The SmaTrig tries to minimise the time where no capture is possible. 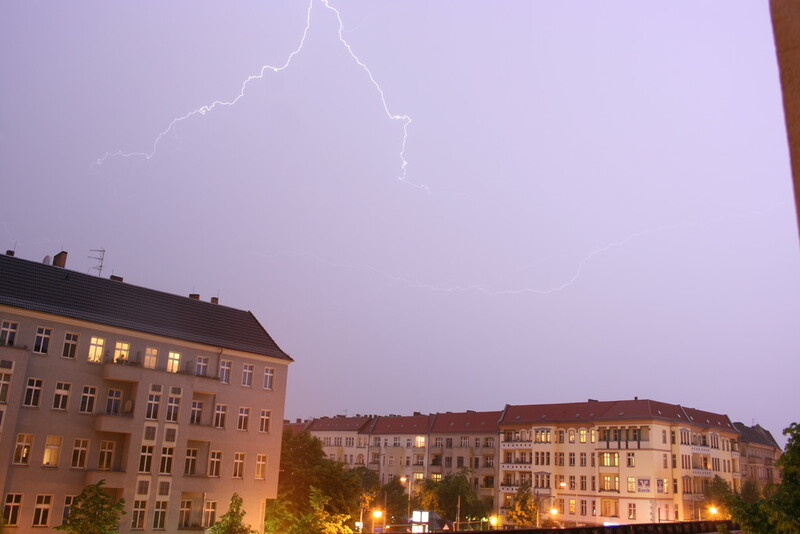 During the second in which the camera is "reloaded" no lightning can be captured. This results in a theoretical probability of 1/31 of missing a lightning flash. You can also set the exposure time by holding the button down for longer than 1 s (you'll hear a beep) like in the interval mode. The exposure time is then equal to the holding time. This mode is not limited to capturing lightnings. It can be used whenever a reduced shutter lag is necessary, also with a microphone. In this mode the trigger responds to the 2nd flash in the sequence of two flashes as usually generated by TTL-cameras/flashes. The delay between the fist and the second flash must be less than 0.5 sec. This mode is primarily intended for servo flash control, so you will need a cable with a jack plug on one end and a PC sync plug for the flash at the other. 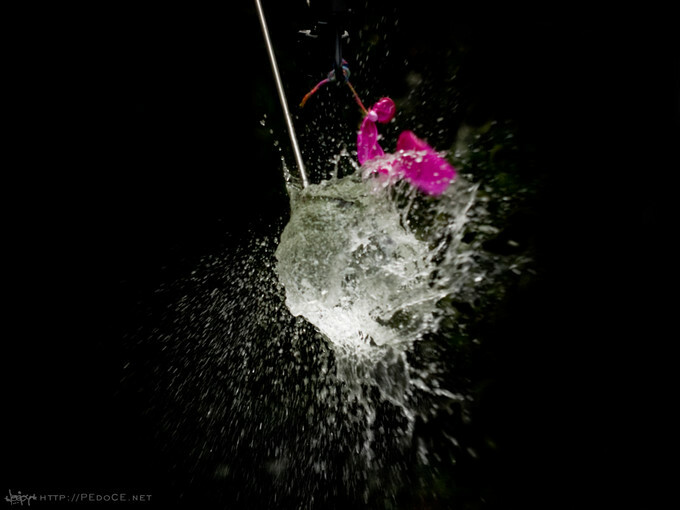 This mode was explicitly designed for high-speed photography. It's a one-shot trigger, meaning that it will deactivate itself after firing to prevent unintended multi-triggering. The self-deactivation is of particular importance when triggering with sound, where falling objects can cause a series of sound peaks after the main triggering event. Another key feature of this mode is the possibility to control the camera via the integrated IR-LED. The trigger sends out an IR signal after activation (push-button press) and another one after triggering or user (self-)deactivation. This allows you to start the bulb exposure automatically with the trigger and terminate it right after firing. This trick will only work if your camera has an IR sensor which can start and stop the bulb exposure when receiving the IR signal. Nikon and Canon work this way (D60 and 400D at least). This feature only makes sense if taking high-speed images in a dark-room using bulb mode and a flash unit. . 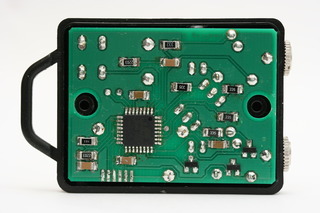 In this mode, the attached camera or flash unit is triggered by the integrated photo-diode, a microphone, or another external sensor connected to the sensor connector (see electrical data). 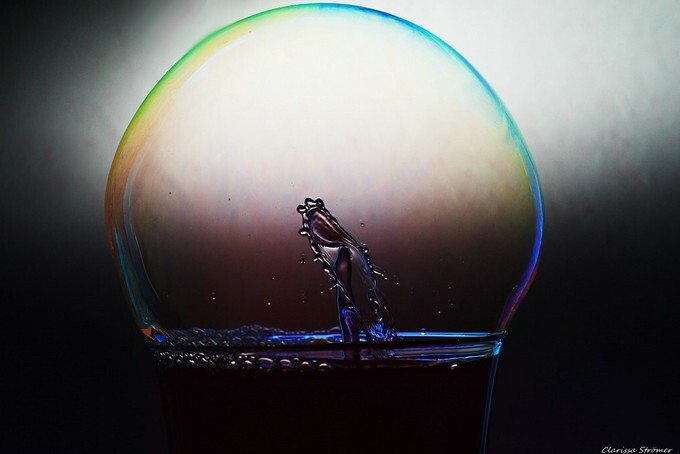 Typical applications of this function are high-speed photography or servo flash triggering. 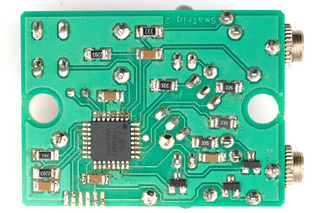 When there is no plug in the sensor connector, the internal photo-diode is used as signal source (internal switch in connector). The SmaTrig 2 can be used to detect lightnings, flashes, abrupt changes of light intensity or as a light barrier in connection with a laser pointer (for example). 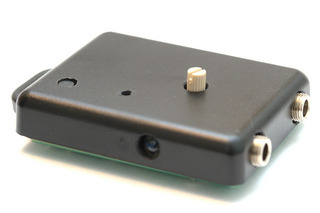 To use the SmaTrig 2 as a sound trigger, a sound-card-compatible electret microphone must be plugged into the sensor port. The power supply is integrated in the trigger. The connection of a sensor is described in the sections below. Two modes of operation are available depending on how often the button was pressed during the activation of the function. Activation with one press means the trigger is "live" continuously, but it's blocked for about one second (default value) after firing. The blocking time can be changed in the configuration. A double press means the trigger is permanently "live", there is no dead time. It can be connected to a music signal to trigger a flash at each beat for example. If you try to capture very rare events like falling meteoroids, or want to shoot lightnings like a pro, this option may be something for you. It allows a 100% interruption-free capturing of events by overlapped exposing using two cameras. The cameras are triggered in a way that each exposure overlaps 1/8 or 12.5% with the previous one. The camera timing is shown in the picture below. The exposure time can be selected starting from 1 second to 8 hours. 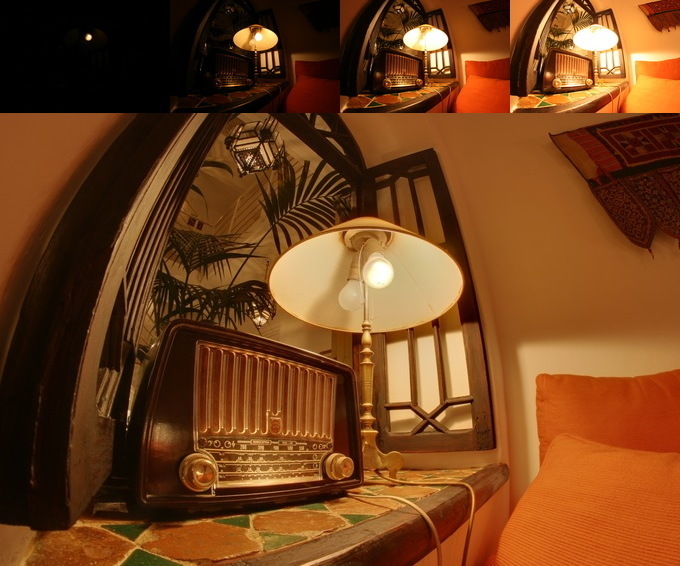 The camera can be used in bulb mode or manual mode (times >30 s bulb mode only). If used in manual exposure mode the exposure time in the camera must agree with the time set in the trigger, otherwise the timing will be incorrect. To start the function the exposure time must be entered first by pressing the button multiple times (see presses/exposure table in interval section or trigger label). After the entered time is acoustically verified the triggering can be started by pressing the push-button again. The usage is analog to the interval trigger described below. 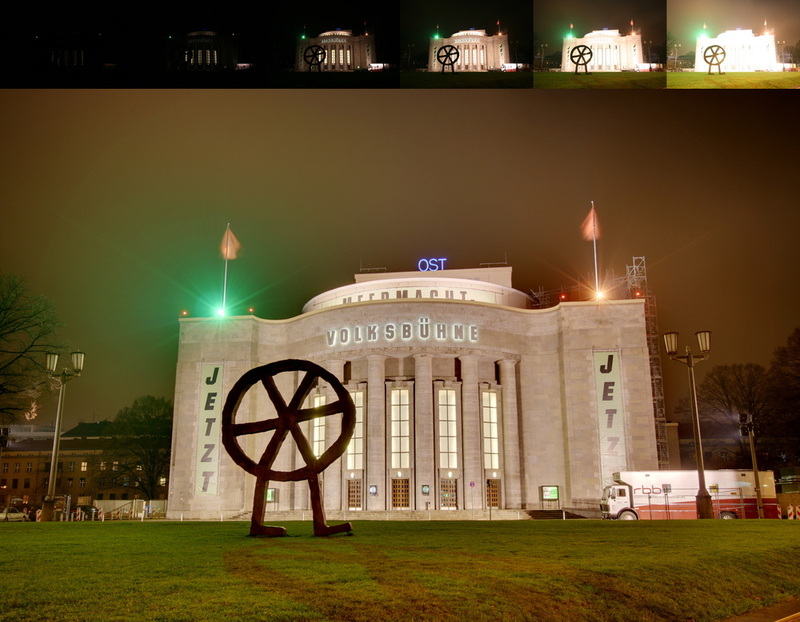 The first example image shows different operators applied to a stack of 96 images with an exposure time of approx. one minute. Note the cool airplane trails. In the secod example four images with an exposure of 8 min. 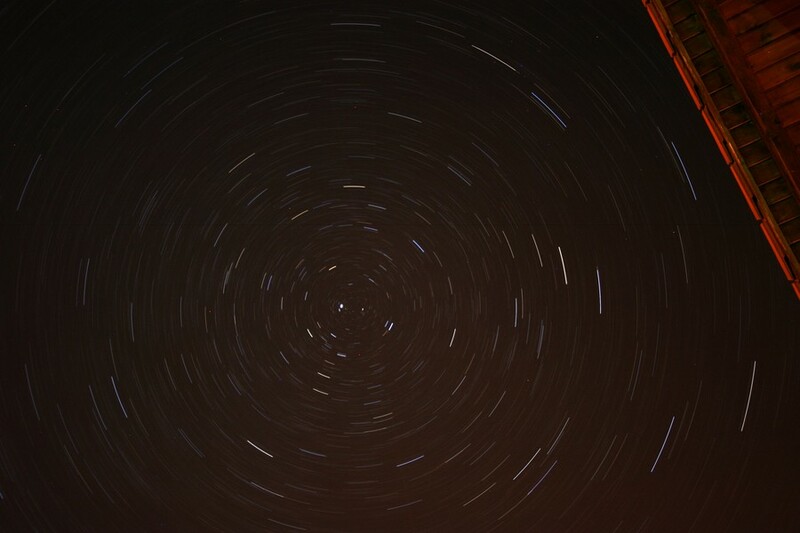 and two with shorter exposure are merged. As the name implies, the camera (or flash) is triggered periodically at different time intervals. This mode can be used to shoot time-lapse movies of growing flowers, moving clouds, traffic, construction and demolition of buildings, melting ice, parties, rotting food, crowds of people, sunrises, sunsets, etc. Capturing lightnings, surveillance, astronomy, time stamping, scientific experiments, stop-motion movies, averaging (noise reduction) or tourist removing are other possible applications. All this in Full HD or better! In the second version of the SmaTrig, the clock precision has been greatly improved by using a quartz oscillator (see clock movie below). The timer allows 16 different intervals listed in the following table, where " stands for seconds, ' for minutes and h for hours. The table is also printed on the label of the SmaTrig 2. To activate the timer proceed as follows: Press the button N times to set the interval according to the table above. The trigger will verify the user entry by beeping N times (the beeps come in pairs to simplify counting). Now press the button again to start the timer. It can be stopped anytime by pushing the button again. There is another "hidden" mode": If you push the button once as for the 1 s setting, but hold it down for more than 1 s (you will hear a beep), the variable interval trigger will be activated. The button hold time will be converted to the interval time. Example: If you press the button for 12.4 s you get an interval of 12.4 s. The duty cycle of this function is about 50%, meaning that if you set your camera to bulb it will expose for 50% of the interval time and wait for the remaining 50%. After setting the time by holding down the button, the button must be pressed again to activate the function. The timer can be stopped anytime by pushing the button again. At very long interval times, the camera battery life becomes a problem. The camera should fall asleep between the shots to avoid exhausting the battery to early. To wake up the camera in a controlled manner, the trigger pulls down the focus wire 4 s before the shutter is released (only possible for intervals > 4 s). This feature can be also used to control lighting equipment as described here. The shutter wire is pulled down for 4 s. This is long enough to shoot multiple images as needed for HDR time lapse movies. This mode can be used in two different ways: as an extended self-timer, or for taking very long exposures as needed for astro or infra-red photography. The delay or exposure time can be set in discrete steps between 1 second and 8 hours. Usage: Press the button multiple times to set the exposure/delay time according to this table. The time setting is beeped back by the SmaTrig 2 for verification. 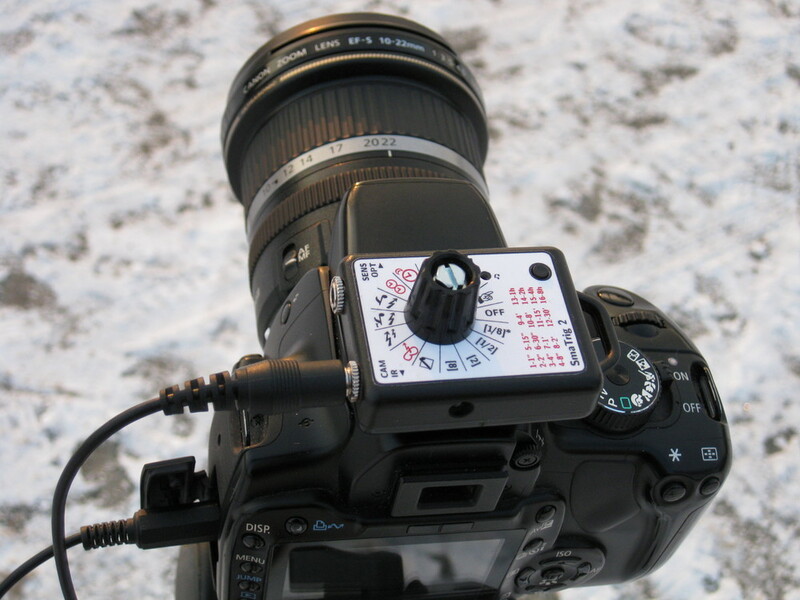 Then, press the button once for the self-timer function or twice for long exposure function. If the last press (both self-timer or long exposure) is longer than 1 s, an additional mirror lock-up pulse is generated. The trigger pulse of the self-timer function lasts for 2 seconds to wake up the camera reliably from stand-by. The trigger ticks every second while waiting in self-timer mode to signal activity. This function uses the integrated infra-red LED to send a trigger signal to the camera. The SmaTrig 2 replaces the Canon RC-1 / Nikon ML-L3 / ... remote control. For now, the codes for Canon, Nikon, Fuji, Pentax and Olympus are implemented. Because each camera brand needs a different IR code, the camera type must be specified in the configuration. Besides the normal usage for taking pictures remotely, many cameras allow to start and stop the bulb exposure with the IR remote control, so you don't have to keep the shutter-button pressed. It's also possible to shoot a bracketing sequence at once instead of pressing the shutter-button three times, very useful for HDRs. This is the simplest mode of operation. The push-button works as an extension of the shutter button in the camera (only the fully pressed state is available: focus + shutter). If the button is pressed longer than 1 second, the trigger locks up allowing continuous (bulb) exposure without keeping the button pressed. The lock-up is signaled by a beep. 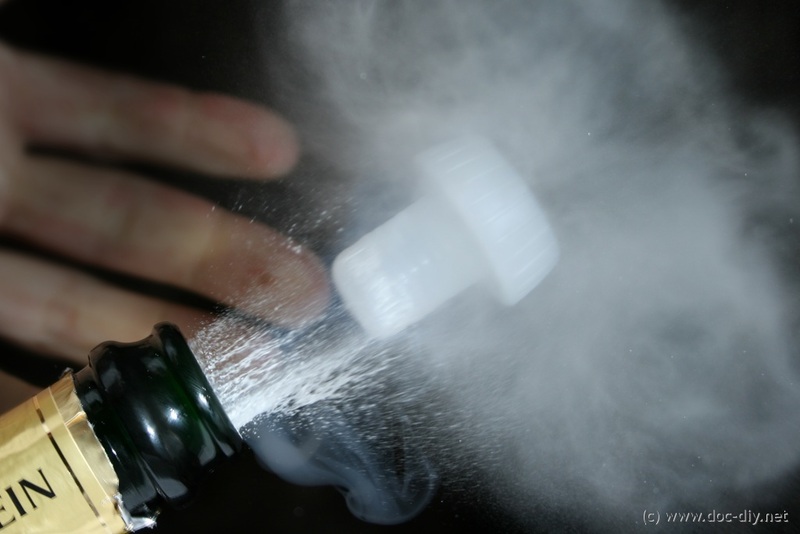 The continuous exposure is terminated by pressing the button again. The SmaTrig 2 can trigger cameras and flash units, as both rely on the same trigger principle. Connect the pin of the PC sync contact to either the ring or the tip of the camera jack connector (and the grounds of course). You can connect two flashes using ring and tip. The trigger voltage should not exceed 50 V (limit of BSS138 transistor). 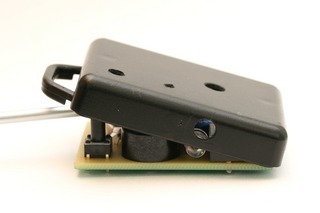 In contrast to the old SmaTrig version, the microphone is connected externally with a jack connector. Instead of the mic, other sensors can be used. The sensor signal has to be connected to the tip of the sensor jack plug. Refer to the schematics below for details. 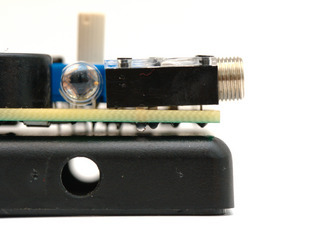 The microphone power supply on the ring of the jack plug can be used as power supply for external sensor circuitry if the current consumption is low enough. A voltage of about 2.4 V through a 2.7 kΩ resistor is available there. 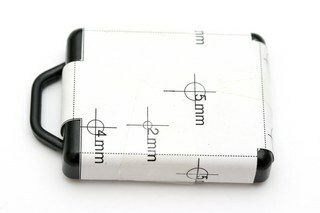 Keep in mind that the capacity of the coin cell is limited (approx 200 mAh). The mic supply is enabled only if one of the sensor modes is active. It can be disabled completely in the configuration. 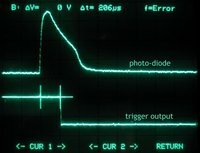 The oscilloscope screenshot below shows the timing of the sound and light trigger. 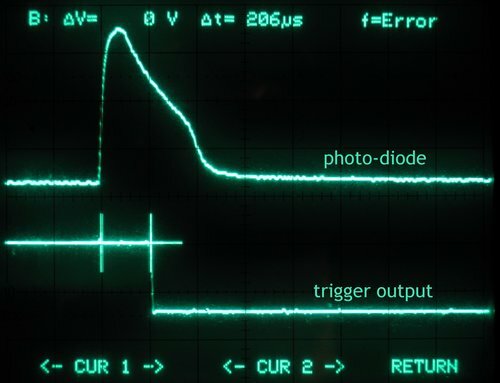 The upper trace shows the voltage at the photo-diode with a peak caused by a flash. The lower trace visualises the voltage at the trigger output, where 0 V is the triggered state. The trigger lag is about 0.2 ms. The article shutter lag measurements might be also interesting for you. All sensor modes (6,7,8,9) can be configured to trigger on the rising (default) of falling edge of the sensor signal. 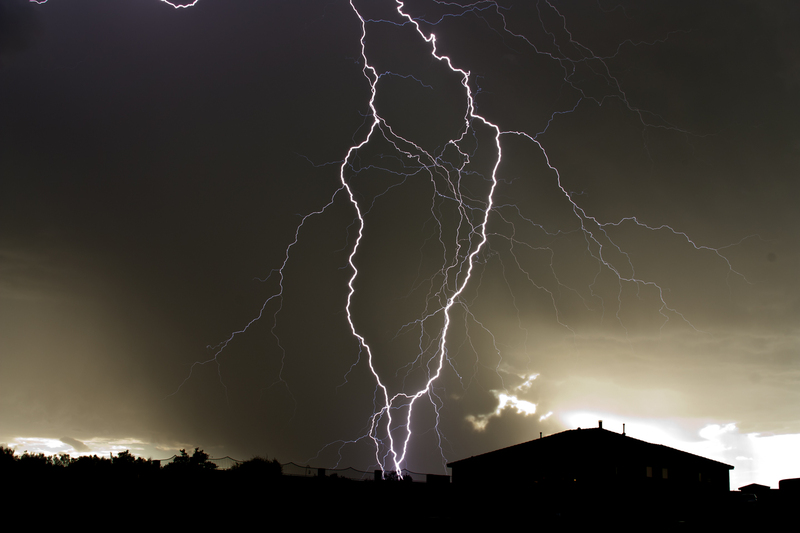 For events like lightnings or sound pulses, the detection of the rising edge of the sensor signal is the obvious choice. However, if using a light barrier it's usually better to trigger on the falling edge, which corresponds to the moment where the obstacle enters the barrier and the light beam is interrupted. Using the rising edge setting in connection with a light barrier will result in triggering in the moment the object has just passed the barrier. For small fast moving objects the difference between both settings is negligible. Please note that the falling edge detection will not respond to very short positive spikes generated by events like flashes or lightnings. With some simple additional circuitry the SmaTrig 2 can switch heavy electrical loads such as lamps, solenoids or ventilators. This extension of the trigger is practical in connection with the interval function which activates the focus 4 s before the shutter is released. Connect the switch to the SmaTrigs focus wire to activate additional lighting equipment before each exposure. You don't have to keep your 8 kW lamp switched on for a week to record your plants growing;-). The safest way to switch heavy loads is to use an opto-isolated device. The schematic below shows how to connect an opto-triac to the SmaTrig 2 to switch loads connected to the mains. There is a big variety of opto-triacs on the market. The circuit below was copied from a data sheet of the MOC3062. It is not tested! Another option is to use a solid-state-relay with an optical input like the S202SE/S216SE series from Sharp. The connection of the low voltage side is analog to the opto-triac. The S216SE types can switch up to 16A. Remember that high voltage is nothing for beginners and it might stop you from photographing permanently! The SmaTrig 2 can be powered externally by applying a voltage 3 V < U < 6 V to ring (+) and the ground (-) of the sensor port. This feature might be useful when one of the sensor functions is used for long times (animal photography, surveillance). If you want to use the microphone, connect it's ring to the external power (+) via a 2.2-10k resistor and the tip to the tip of the sensor connector of the SmaTrig 2. It is recommended to disable the mic powering in the configuration. The only significant energy consumer in the circuit the the integrated analog comparator of the ATmega88V. It is only enabled if one of the sensor modes (6 to 9) is active. The current consumption is about 200 uA resulting in in a theoretical battery life of about six weeks (non-stop operation). If a microphone is connected to the SmaTrig another 200 uA are consumed. The battery life reduces to three weeks. The mic is powered only if one of the sensor modes is active. All other modes range below 10 uA if active (couple of years battery life) and <3 uA if inactive (several years of battery life). 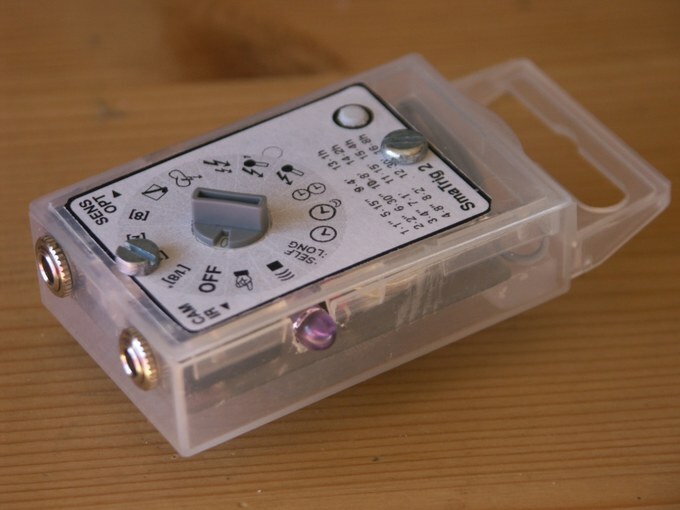 If you do not intend to use the SmaTrig 2 for longer time, set the rotary switch to OFF to disconnect the circuit from the battery. The most important sections of the circuit are explained below. Triggering: Q2 and Q3 are responsible for triggering the connected device by pulling the focus and shutter wire to ground. The BSS138 transistor is rated with 50 V and 220 mA. 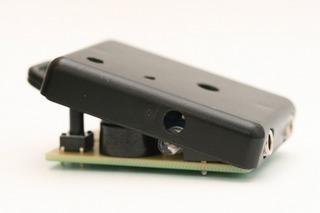 Rotary switch: The switch has two functions: it sets the operation mode of the trigger and connects the AVR to the battery. 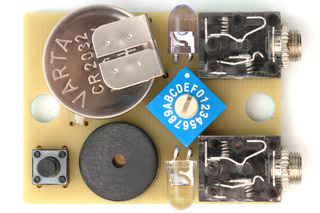 The switch provides a connection between the input pins and the power supply in all positions except the "0", where the circuit is disconnected completely from the battery. The AVR is supplied in a "parasitic" way through the protection diodes of the input pins. Refer to the SmaTrig 1 description for more details. Sensor input circuitry: C2 and R5 form a high-pass filter between the sensor input (tip of jack plug) and the built-in analog comparator of the ATmega88. Only transient (changing) signals can be detected by the SmaTrig 2. The positive comparator input is connected to the reference voltage at PD6 which sets the trigger threshold. The voltage is generated by the voltage divider consisting of R9 and R11. By changing the potential at PD5 and PD7 the reference can be switched between approx. ? ?50 mV?? for rising edge detection and VCC-? ?50 mV?? for falling edge detection. In case of the falling edge, the input signal at PC5 is pulled up by the internal pull-up resistor to range slightly above the reference voltage. A negative spike at the input will bring the negative comparator input below the threshold and trigger. Mic power: To allow the direct connection of a standard (sound card type) electret microphone to the trigger a power supply at the ring contact of the mic plug must be provided. This is accomplished via PD2 and R8. The supply can be also used to power some low-power input circuitry. The ring contact should _not_ be connected directly to ground (mono jack plug, etc.) to avoid high power consumption and shortening of the battery life. The power supply can be disabled in the configuration. IR-LED: The IR-LED is controlled by Q4 which is connected to PC0. The inner resistance of the battery and the on-resistance of the FET make a serial resistor for the LED unnecessary. C4 boosts the current for a longer operation range of the IR remote control. The one-sided board was designed with Eagle. The minimum path width and the clearance are 10 mils. This means advanced home-brew methods are necessary for reproduction. 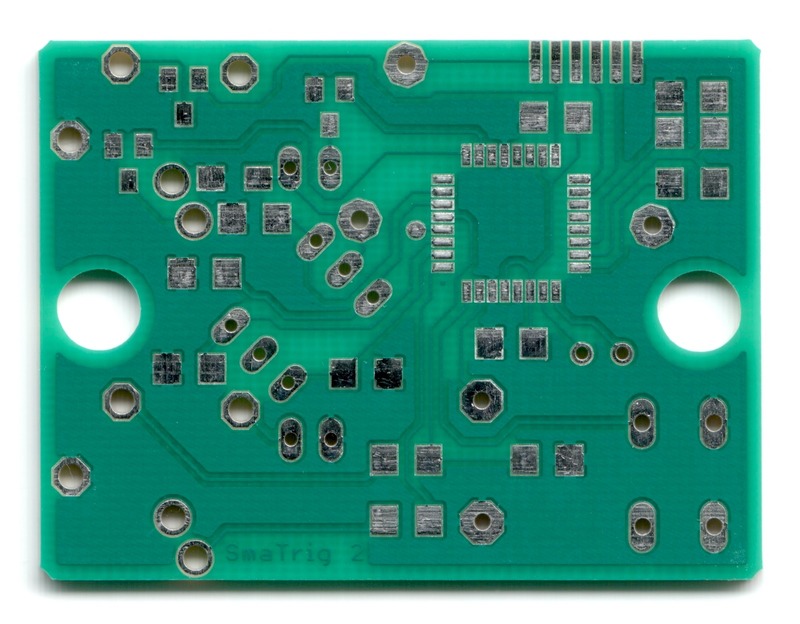 The PCB shown below was manufactured by www.leiton.de on one-sided FR4 1.5 mm material. The drills are exactly in the center of the pads. The quality is good enough to place a nice raster graphic somewhere on the PCB - next time. The PCB layout can be found in the documentation (see download section). 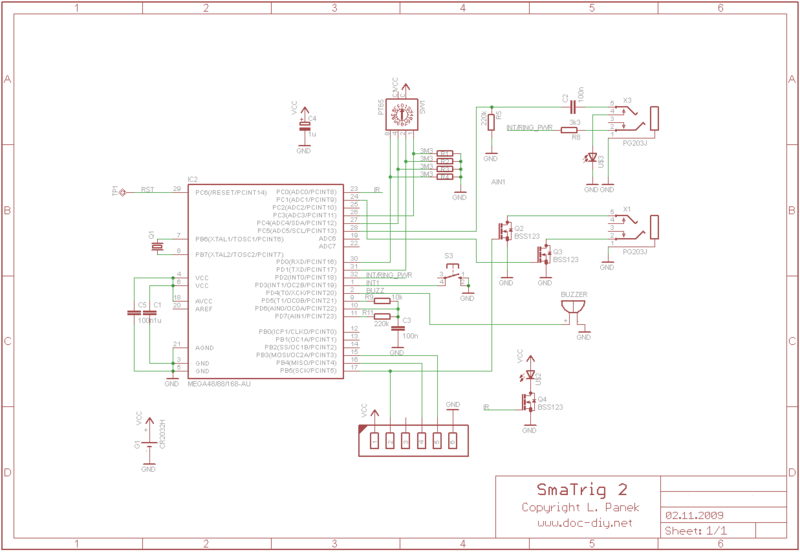 All parts necessary to build the SmaTrig 2 are listed in the documentation available in the download section below. I tried to use standard parts only. All analog functions are based on the integrated comparator of the ATmega88V, reducing the part count significantly. The most exotic part is the code switch. It is a hex-type with 16 positions manufactured by many companies. You can use any type compatible with the PT65 from Hartmann. There are types with a spindle and with an integrated (detachable) knob. The BSS138 FET transistor can be replaced by a different n-type conducting at 2 V at the gate. The buzzer has no electronics inside. Any piezo-type can be used. It has a pin spacing of 7.5 mm. The photodiode can be replaced by any daylight type. A high sensitivity type is preferable. 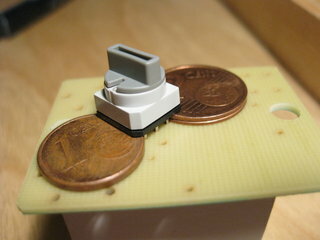 The circuit is mounted in a small pocket enclosure (50x38x13mm). A hot shoe mount can be attached to it for better usability. It can be recycled from an old flash or made of two plastic plates glued together. It has no electrical connection to the camera. 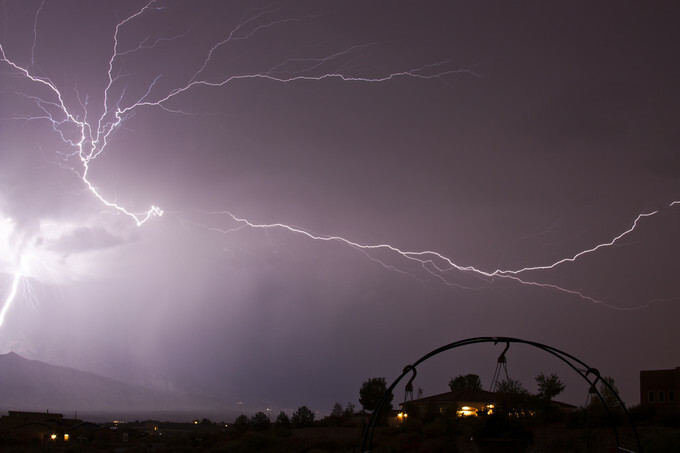 The light sensor must point in the direction of the lens if you plan to use the trigger for lightning capturing. I designed a drill aid and a label for the rotary code switch. They can be found in the documentation in the download section of the page. The red symbols on the label correspond to modes which involve timer functions where the user has to push the button multiple times to set the time. The red numbers below the switch legend describe how many pushes are necessary for which time. We start with the circuit as it is more exciting than the enclosure preparation. You can find all detailed plans in the documentation in the download section. You should have some experience in soldering to avoid frustration. If you have never soldered fine pitch SMD devices before, read one of the countless tutorials on the net, an exhaustive one can be found here. German readers may have a look here. The most difficult part to solder is definitely the ATmega88V in its TQFP32 package. You will need thin solder (≤ 0.5 mm), a soldering iron with a pencil tip, and a loupe. Solder paste and a gas soldering iron are also a very good or even preferred options. Please, double-check the orientation of the chip before soldering! There is a small dot on the PCB where the mark on the AVR should be. Use the photos in the documentation for orientation. Be careful with the SMD caps (all 1206 types), as they usually have no marking. The resistors (all 1206 types) have a number printed on top where the last digit corresponds to the number of zeros that must be attached to the preceeding numbers to obtain the resistance in Ohm: 3304 and 335 mean 3.3 MΩ. 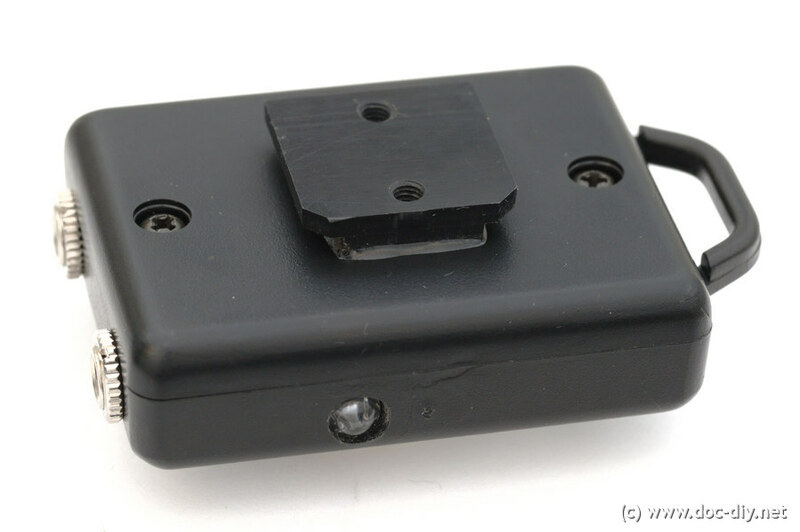 The jack connectors have to be mounted at a certain angle to fit the slope of the enclosure side wall they are mounted to, see pictures below. Do not mix up the IR and the photo-diode, watch the polarity. Some buzzers also have a polarity marking. If you use the integrated code-switch (left on picture above) solder it at about 1.7 mm above the PCB to align the knob nicely with the enclosure surface. Put two 1 or 2 Eurocent coins under the switch while soldering it. The spindle type switch is mounted in the regular way without any extra spacing. After all parts have been soldered, the circuit can be tested. The simplest indicator of "life" is the buzzer. Switch to position "F" (Manual/Bulb) and press the button down for more than one second. You should hear a "beep-beep". If you don't hear the beep, set the switch to "0" to disconnect the battery and search for the problem. Compare your PCB to the pictures in the documentation. Some solder bridges? Is the orientation of the IC and rotary switch ok? Battery? If the Manual/Bulb function works fine, but some others don't, you probably forgot to program the EEPROM. Many functions look for settings in the EEPROM and find just a '255' if it was not programmed. If the buzzer is ok, but you can't hear no clock "ticking" in the (active) interval modes, probably there is a problem with the crystal. If everything is fine, the board can be mounted in the enclosure. Set the rotary switch to "0", or remember the setting to attach the knob at the right angle later (applies only to spindle version of code switch). For the integrated switch version the knob must be removed (see picture above) for mounting. Now the enclosure has to be drilled. 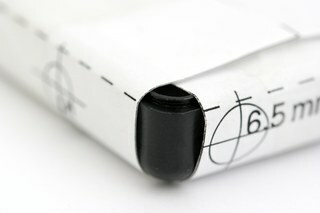 Print out the drill aid from the documentation ensuring the scaling is set to none (1:1). Cut out the aid and fix it on the bigger part of the enclosure with adhesive tape as shown below. The dashed lines must align with the edges of the enclosure. Double check the symmetry and then copy the centers of the holes to the enclosure with a sharp device. Now drill the holes as precise as possible. Use a drill stand if possible. The bigger the holes, the higher the tolerance to misalignment. Too big holes look bad. The drill aid is a hit-and-miss thing, so be prepared to use a file to make everything fit. Now insert the PCB into the enclosure. The procedure is rather intuitive, but some force must be applied. The PCB fits very tightly. Use a screw driver to push the spindle of the rotary switch into the hole. Proceed as shown in the pictures below. Inserting the no-spindle version is easier. Now the label (and the knob) can be attached. You will find the label in the documentation ready for printing (1:1). Don't forget to feed back to www.doc-diy.net and contribute to the gallery! Any suggestions on the trigger and the web site are welcome! The author takes no responsibility for any injury or damage resulting from the operation or construction of the device presented here. The commercial use of the site contents is not permitted. Please use "Smatrig 2 (your_camera_type)" as subject. In this section images taken with the SmaTrig 2 are presented. Your images are welcome! Shot by Michael, more images are here. Own work, shot with a EOS 400D + Samyang fish eye. The four input images were merged with enfuse. Shot by Luca aKa CapZicco. 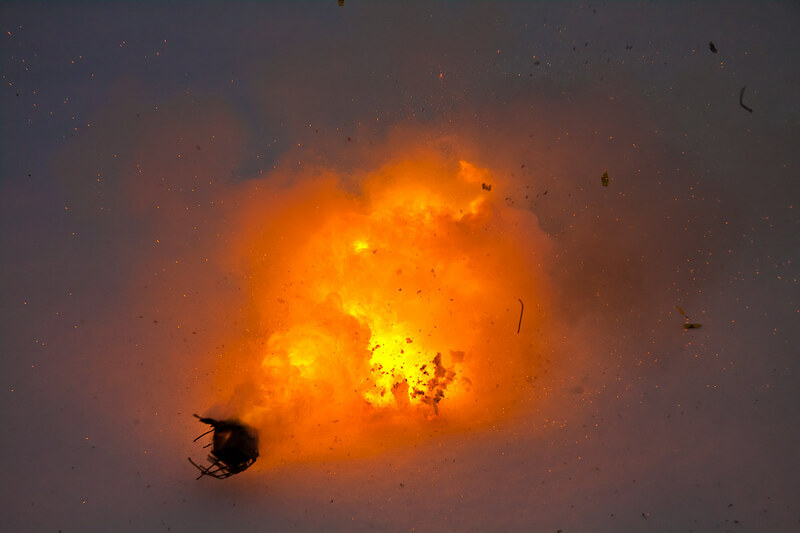 These incredible images were shot by Rob Kessel in New Mexico, USA. 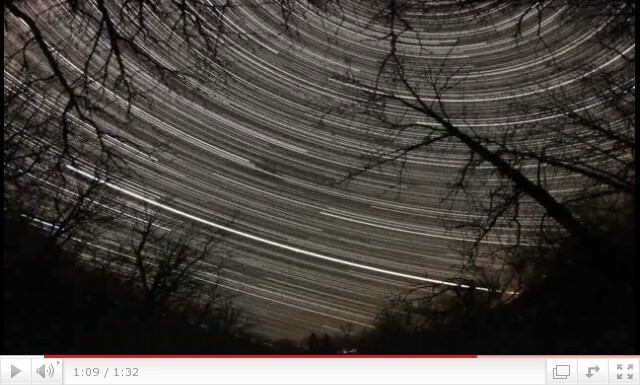 Time lapse by Darren Enns from Morden Manitoba, Canada. Note the growing star trails in the movie. 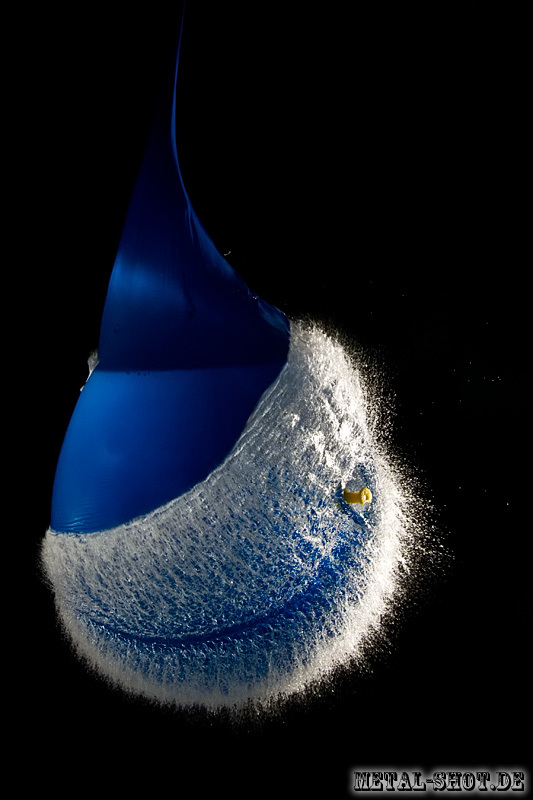 Shot by Florian Schulz using the sound trigger function. Do you mind to share your source code? Is there any way to order a working SmarTrig2 in Australia. Can you use this unit with an external IR source and receiver to fire the camera when the IR beam is broken please? If you can what source & receivers would you use? I very interested in the product SmaTrig2. I want to order but I need to resolve one problem. I need to shoot only between 12.00pm and 14pm in timelapse (1 picture in 1 second) for 6 months. The rest of the day keep camera in standby for the next day shoot. Conclusion: every day, for 6 months, I need a trigger for the specfic time. The SmaTrig 2 is capable of that? Would mind posting/sending the Gerber file for the PCB? I have access to a PCB maker and Altium Designer, but not Eagle. I'd really appreciate it. Any interest in a PCB? I'm making a smatrig2 and made an extra PCB. Anyone here interested in buying it? I think it's brilliant and extremely well though out. I'm not a complete beginner in DIY electronics, however your device is a little too complex for my skills. I'm also an old time digital amateur photographer using a CANON EOS Digital Rebel XTi. I've been tinkering with Arduino boards for a while and I noticed that it uses an Atmel ATMEGA 328P-PU chip of the same family as the ATMEGA 88A/PA. Are the two chips comparable in functionality? 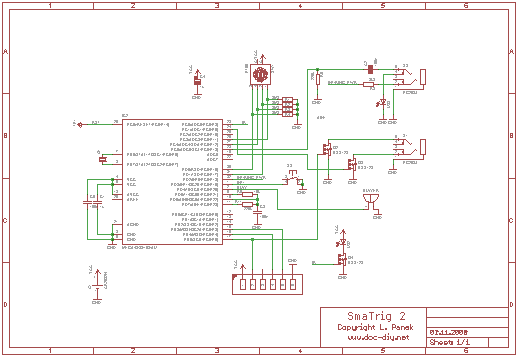 Can the SmaTrig circuit be adapted to the Arduino UNO? Can the C code be translated in Arduino code? Keep in mind that I don't necessarily need all the features of your trigger. I'm sure your are familiar with Arduino and forgive me if this question has been put to you before. If it can be done and with your permission, I'll be happy to post it on the Arduino forum giving you full credit. For your convenience, this is the link to the Arduino community. signal for wireless*) triggering. I've got some of the Smatrig 2.1 spare. Contact me per email. You can't use the ATMEGA88-20AU, because it won't work at 2.5 V. You need a 88V, 88PV or the 88PA version. The max clock is not an issue. The chip runs at 1 MHz in the SmaTrig usually. Is this really a question? I have the choice of 10 MHz or 20 MHz (ATMEGA88PV-10AU or ATMEGA88-20AU). Its been a while since I used these components. Do I have to modify the fuses in any way depending on the choice above? Thanks and great work Luk! ich hab deinen Infrarotsender entdeckt und hab die Frage, ob der auch mit der Pentax K-X funktiert. I have bought all parts. but I am not expert about electronic. How can I program chip? do you have simple programmer circuit or something else. Hi, would you be able to post the gerber or Eagle files in the download section so we can get the PCB made professionally? Thanks. I am trying to found Chip. But I couldnt found it easly. can you help me about where can I buy correct chip? Did you by from internet. I had the oportunity to check myself the minimum bulb time for the 500D. Its about 1/2s. For the 7D one user reported about 1/100s. Both numbers agree with the results by Carols. I updated the table on the HDR-Jack 2 page. I also built a SmaTrig and have bad experience with IR remote controll. In basic, the radius was around 20cm. I increased it to 3m by an addition battery 3+3V. Do you have same experience? I had the opportunity to put my hands on a Canon 7D to check the minimum duration of the bulb exposure. As the picture show, the minimum value I was able to obtain was around 10ms: 1/100. I'd like to know how and where i can buy a SmaTrig 2, i'm living in paris ? Wow - the possibilities this would open up our endless. Any suggestions on suppliers for parts? Would you consider doing kits or or even the PCBs? I was pondering working on something like this for a while, and it's nice to see that you thought of everything I did and much more! This is great! I'm interested in doing something similar, but maybe with some minor modifications. To start, I wanted to use a Texas Instruments MSP430 device, since I have a few of those on hand, and have developed on those. And I wanted possibly to incorporate an LCD screen or something into my design. Would it be possible to take a look at your code, for modification purposes? It'd be nice to use something that already works as a basis for a new design. Any help would be greatly appreciated! Unfortunately I only have an oscilloscope at work! I´ll ask for some friends to borrow me their cameras to test this minimum bulb time and then I’ll post the results. The way you used to measure, make sense even being less precise. Thanks for the tests, Carlos. Your testing method makes sense to me. I will try to repeat my measurement. It's not very probable, but the shortest time may depend on the firmware version. 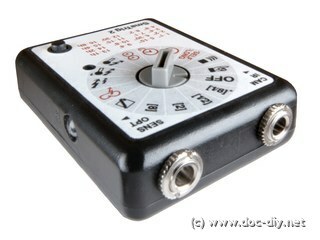 Could you repeat the oscilloscope test with 1/2 s exopsure time set manually (not bulb)? I measured the min. exposure in bulb by comparing the histogram to manual exposures in the range 1/8s - 1s. At constant light of course. On my 400D it also makes a differnce if you release by pulling down the shutter only or both focus+shutter. Shutter only results in a shoter times. Thanks for your reply, Luc. Well, since my results don't match with yours, I've made some test. Get an oscilloscope a setup it for a slow refresh (100 ms by division). Then point my 500D to the oscilloscope and set it to full manual mode with exposure set to bulb. Plug a 2.5mm jack on the place for the external trigger and very quickly, short the tip to the ground of the jack to force the shutter to open and take a photo. The result photo is in this link (http://picasaweb.google.pt/caladeira/PartilhaWEB#5512044996782754466) and indicates that the shutter was open for slightly more than 500ms. No matter how many times I try, with RAW, JPEG, MIRROR LOCK, STABILIZER OFF, etc. ; the result is always the same. Off course if instead of a quick short between tip and ground, I make one of several seconds, then I’ll get a photo with exposure of several seconds. I found out, that the shortest possible exposure time in bulb mode for all new Canon cameras (like the 500D) is about 1/4 s. Read the HDR-Jack 2 article on this site for more details. The EXIF information in bulb is always rounded to full seconds in all Canon cameras. First I want to congratulate you for this exceptional project. If my 500D is set to Bulb, when I press the shutter button even if for less than 1 sec., the minimum exposure time is always 1 sec. 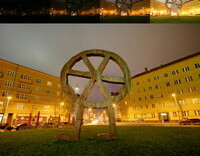 Not only the EXIF information, all pictures have the same level of light. Did anyone experienced this behavior? This way, bulb mode bracketing for less than 1 sec, won't work. Anyone want to make/sell a SmaTrig 2? would it be possible to turn this trigger to be a flash commander for multiple flash using RF signal or IR signal? Some hobbiest friends where asking if it would be possible for you to publish the code too, in that way they can contribute if they can come up with something. The pcb size is 34mm x 45.7mm. I will provide the size in the next version of the documentation. You can check the precision of your printer by printing page 14 of the documentation. There is a scale in centimeters in x and y direction. can you provide the pcb size on the pcb drawing so that we can check if it is printed on the correct scale? 2. Ja, ich habe einen Satz Platinen bestellt und wollte ein Paar DIY-Kits zusammenstellen. Kontaktiere mich per mail (sihe "Contact" weiter oben. 3. Der code ist nicht offen. 1. was für ein Gehäuse ist das? 2. kann man die Platine (unbestückt) bekommen? 3. gibts auch den Quellcode? ich habe dir vor einiger Zeit schonmal bezüglich deines SmarTrig 1 geschrieben. Nun sehe ich, dass Version 2 da ist. Was soll das gute Stück denn kosten? I just thave to say that SmaTrig2 is working GREAT !!! Thanks Luk for this nice development!!! Two thumbs up for the developer!! !